Well Done to Maddi Cole for completing her Pass Plus course. This is an additional course for new drivers after passing their driving test which includes all aspects of motorway driving and additional areas to improve awareness and safety. 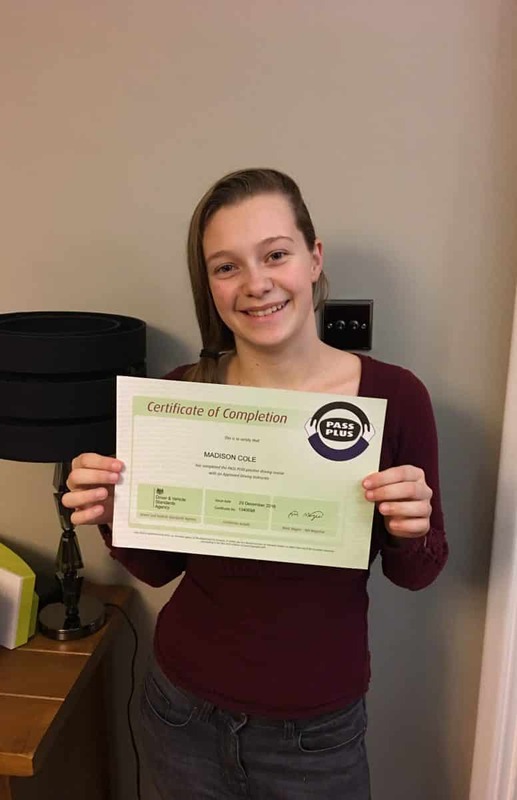 Maddi dealt with freezing fog, cold temperatures and a very busy M25 with confidence and demonstrated a high level of safe driving.